DIY isn’t just limited to building tables, chairs or carrying out some internal fixes. It isn’t just limited to this though, don’t forget one of the most attractive parts of your house, your garden but it’s not just about growing plants. If you’re not clued up on how to present your garden or even nourish your plants, they can and will die. Gardening doesn’t have to be hard work and it can be one of the most rewarding things in life. We have brought together a guide for you that should give you some tips to get any gardener on their way. You will have to invest time in this though as the garden will always need to be maintained and there are no single quick fixes. Following the methods listed below you’ll be enjoying your new hobby in now time at all. Without soil your plants won’t grow, without the right type of soil, you’ll face the exact same problem. Do your research and find out what plants need what soil as generally it won’t be a one type fits all. There are many types of soil and you can find some of these on this website here. If you’re looking at specific plants then it may well be you go and research the plant first and then find the type of soil but if you’ve already got soil, you can get the best out of it with the right plants. Most people have preferred plants or plants in mind that they want to grow. We have a couple of suggests too, Garden Phlox and Blue Bells are some of our favourites and are great perennial plants to grow. Vegetables are also great to grow, however you will need space for this and with some smaller gardens this might not be feasible. Can you imagine picking your own carrots, beans, tomato, lettuce and beats to create the freshest salad for you? How are you going to lay out your garden in your mind, will you have a few pots or will all the plants be in the ground. Do you want a lawn or will there be plants with concrete? All of these considerations should be made before buying anything. You can find inspiration online to show you how your garden could look. It could be beneficial to print off or sketch multiple layouts and then compare them side by side before making any decision. Also remember to consider watering systems, equipment and fertilizers. Any gardener will tell you, without a good shovel you’re set up for a difficult time. The best way to ensure you save time while you garden is to firstly, get a well made shovel and secondly, get some silicone lubricant to ensure it’s non-stick. Be generous with the coating, you’ll be thanking us after. It may sound obvious but many people fill their pots with only soil. It’s recommended that the pot should be filled at most to half way fill with peanuts, that’s right peanuts, then cover with some landscape fabric. This will help reduce the weight of your pots instantly and then allows you to top up the rest with soil making it light. There are other methods to reduce weight further, however they shouldn’t be necessary. If you’re looking to save some money and you don’t want to get a tray then a small ladder can work just as well. Each compartment should be lined with waterproof fabric and then your plants will be safe and make minimal mess in your car/van. A great and simple trick with your rain gauge. Simply use dye and during next rainfall, the water will combine with dye and water level will obtain bright red and so they will be easy to read. As the title aggressive plants should be controlled as they’ll grow rapidly. Of course the first thing you should do is identify them and keep an eye on their growth rate. You’ll then be required to keep them cut otherwise before you know it, they’ll be completely out of control. Ever had a p lant that is bounded by their root? If the roots form a solid mass with little soil to be seen, the plant is severely root bound so this is what you should look out for. The reason that this is an issue is that it prevents water and nutrients moving to the leaves and other areas of the plants. In order to solve this issue quickly, you should help the roots to go outward by using your fingers. If they are really tough, you should carefully make vertical cuts in the root ball with a knife. Protect your bulbs and always put netting over them especially in the spring time when their most vulnerable. Gardening is a great hobby that not only keeps you fit but gives you the sense of reward once it’s complete. If you would like to learn more, below are some links we’ve collated. At Power Drill Guru we aren’t just interested in keeping safe when working with power tools, as a family run website we are interested in the safety of your children. Always ensure your computers have child safe settings enabled so that they’re less likely to come across anything that may hurt them. Personal information should always be kept private – don’t give out your address email address, mobile number or any finance information unless you’re 100% sure the website can be trusted. Of course never give it to anyone in chat rooms. Think before you upload any photos. Be very careful on who you’re sending the image too as it could be shared. Don’t meet up with anyone you’ve met online as it’s possible they aren’t who they say they are. It may be useful to print off the below and keep it near the computer while your child is on it. 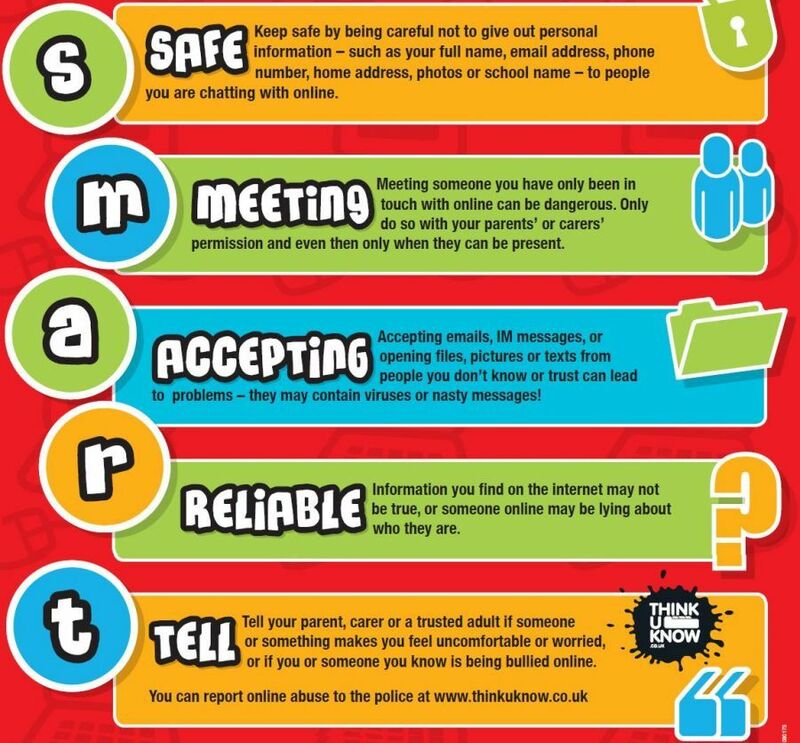 For the adults, there are many ways you can be vulnerable online too so we recommend that you look at the links below to make sure you’re up to date. Everyone and every building is going green these days, and rightly so because all the efforts go towards energy use reduction. Energy conservation plays a significant role in protecting the climate as well as conserving resources, promoting a healthier environment in general and much cleaner air. Estimates have it that an average American household uses 10,837-kilowatt hours (kWh) every year. With energy conservation, this amount can significantly go down. It is entirely possible with our green home guide focusing on making your home healthier and greener when building or remodeling. Now, most people believe that going green means a lot of changes made to their homes at an instant and it comes with an enormous financial implication. What it means is that you should approach it as a one-step-at-a-time kind of project. Don’t go and discard perfectly good appliances all in the name of going green because it amounts to wastefulness which isn’t a lesser of the evils. The best time to start making green changes around the home should go in hand with the fixtures and replacements that are already needed. For instance, if you have broken down appliances that need replacement then you can replace them with green options. Other changes that do not take much to incorporate at any time include getting low-flow fixtures installed, and using your HVAC and lighting systems more efficiently. Have an energy audit system within your home to help track energy consumption. Having the system will help you identify where you are losing energy and find greener ways to remedy it. Reduce energy bills by getting attic insulation radiant barriers installed. Insulate and seal your entire home including crawlspaces, the basement, attic, air ducts, electrical outlets, walls, door trims, the fireplasystems and ultimately bringing down your energy consumption. Incorporate a rooftop garden or green roof to your home. Go for double-paned and energy-efficient window models. Go for polymer or rubber roofing materials because of their lighter construct and easy maintenance requirements compared to slate roofing. Use heat blocking film on windows if you are not about to replace them. When working on your roof, ask your contractor for recycled roofing materials if they are available. Go for cool-colored roofing materials because they reflect light better to keep heat away from your home. Make sure to follow the recommended ENERGY STAR insulation levels when working on roof replacements. The earth is blessed with a limitless number of reservoirs of water, but only 1% of them are fit for consumption. It goes without saying that using water wisely is an important part of promoting sustainability of resources. Going for low-flow fixtures for your bathroom from toilets, shower heads, and faucets, helps to lower water consumption in your bathroom. After using water in a bucket or if you have any leftover water from other uses, consider recycling the water instead of pouring it down the drain. For instance, you could use old water left out for pets to water plants. Go for a gray water recycling system if you can have it installed. Closely monitor your water bill and address any possible leak issues. If your local building code allows it, replace your toilets with the compositing models. Reduce your water consumption in general by taking shorter showers and baths, limiting unnecessary running of water from taps, and regularly check for as well as fix leaks. Residential lighting makes up an estimated 13% of the total electricity consumption in the average home. Personal computers, appliances, and TVs constitute to the rest of the power consumption within a home. Ask about green energy plans from your utility company. Place your monitors and computers in sleep mode any time that you are not using them. Replace burnt out bulbs with energy efficient fluorescent, halogen and LED bulbs. Turn off lights when you leave rooms, and if possible do not switch them on entirely. Use power cords or strips to plug in your electronics and turn them off when you are not using the electronics. What would you do without appliances such as food processors, dishwashers, and the washing machine? In essence, these devices help to maintain a smooth flow of everyday tasks within your home. The use of appliances within the home constitutes to the most amount of power consumption. Go for Energy-Star rated appliance replacements or when buying new ones. To avoid cooling between uses, get your hot water lines insulated. Set the freezer between zero to five degrees Fahrenheit and the refrigerator between 38 to 42 degrees Fahrenheit. Do not set your water heater temperature below 120 degrees Fahrenheit. Make sure that your refrigerator door gets properly closed after use. Clean out the door gasket to maintain its tight seal. Microwaves are 66% more efficient than ovens, and therefore, you should use the microwave more often. Wash a full load of laundry at the maximum load size. Also, use the old clothes line drying method as often as possible instead of using the dryer. If you must use your dryer, make sure to clean out the lint filter appropriately to enhance safety and efficiency. Dishwashers save on water usage when cleaning dishes compared to washing them by hand. Likewise, wash a full load of dishes for better efficiency. Scrape off food from plates instead of pre-rinsing them before washing. Go for solar heating or tankless heating systems if possible. Also, make sure to go for models manufactured from 2001 to recently. Your HVAC system is by far the leading consumer of power within your home. Get annual HVAC equipment tune-ups. Also, make sure that the installation of your HVAC equipment is as required. Change your air filters after every three months on the minimum. Set your thermostat to only a few degrees lower or higher seasonally, as opposed to cranking it all the way up or down which consumes more energy. Go for room air conditioning systems as opposed to cooling systems for the entire home, while there are certain areas in your home that you don’t make use of regularly. Likewise, go for small room heaters for use in specific rooms within your home. Window fans and ceiling fans are good options for low-energy cooling. Use windows to let in fresh flowing cold air when possible during the summer. There isn’t a better place to go green than outdoors. For instance, you can go for climate appropriate, native, and drought-tolerant plant species to include in your landscaping. Group outdoor plants according to watering needs, and water at night or early in the morning to avoid evaporation. Plant a tree or as many trees as you possibly can in your yard. Use rainwater for your outdoor plants, get plants in biodegradable pots, and plant according to the season. Use natural fertilizers and bug sprays. There are a lot more things that you can do to go green within your home. For instance, you could also recycle water when possible, go for reusable products, and avoid using aerosol products. All in all, our green home guide should get you started towards incorporating green changes in your home. https://www.wildmanstevebrill.com – Learn about edible/medicinal wild plants with America’s go-to guy for foraging, “Wildman” Steve Brill. Working with Wisdom – most jobs can benefit from a bit of tuning-in. If you’ve been struggling to drill through your tiles and you’re now getting told off for breaking tiles, this is the guide for you. 1. Diamond bit or carbide-tipped glass or tile bit. 5. Glass of water or small hose. Drilling into a ceramic tile can be a daunting task. Patience and the correct tools are needed to take care not to crack or shatter the tile. The best drill bit needs to be used to ensure no damage occurs to the tile or the drill bit. Following the below steps will give you the best chance of success! 1. Clean and inspect the tile surface. Clean the tile to ensure it is free of any grease or debris. This will allow you to thoroughly inspect the tile for any signs of pre-existing damage or cracks. If it is damaged, do not attempt to drill into the tile- replace it before you continue. Carbide-tipped glass or tile bits are shaped to minimise the risk of splintering ceramic tiles. For extra hard tiles such as porcelain, opt for the more expensive diamond tipped bits as they are more durable. If these drill bits are unobtainable, or you are in a bit of a bind, you can use high speed steel (HSS) bits. However, these will wear down after only 1-2 holes. For larger holes or plumbing installations, use a hole saw bit made from glass or diamond tip. Ensure that the central pilot bit is made from the same. 3. Wear safety goggles or glasses. It is very important to ensure your eyes are protected in case the tile does splinter or crack. Safety first! 4. Mark the area with masking tape. Mark the area with an X shape, crossing the tape at the centre of where you wish to drill the hole. This not only reduces the chance of slipping and gives the drill more traction, it also reduces the risk of damages the outside of the hole. 5. Before drilling, place the drill bit on the hole site and tap lightly with a hammer. Due to the tiles slippery surface, a drill bit may slide or jump. Making a pilot hole to steady before drilling is always a good idea. Remember to tap gently to avoid damage. If you&#39;re using a solid drill bit larger than 1 ⁄ 4 inch (0.6 cm), it is a good idea to drill a pilot hole with a smaller bit first. 6. Drill slowly. Allow the drill to do the work and drill slowly at a low speed. Do not push too hard as this will crack the surface. It is usual for this processes to take 3-4 minutes. Drill no faster than 600 rpm for diamond bits below ½ inch (1.25 cm), or 450 rpm for bits from ½ to 1 inch (1.25—2.5 cm). 7. Cool with water throughout the process. Friction from drilling tiles generates a lot of heat, which can scorch the drill bit or crack the tile. In order to protect both the tile and the drill bit, use a hose or water bottle to provide a constant trickle of water. Remember- your drill bit should never feel more than warm. If it is hot, stop and cool with water before continuing. It may seem like a minefield when thinking of how you can improve the value of your home. Thankfully, we have done the research on the best areas that will improve value in your home. It’s important to realise that these are statistics that of course aren’t guaranteed for every home, especially in properties that are new. If you’re carrying out this work yourself, be prepared for a lot of work as typically any large scale modification to your house takes a lot of time, make sure you have the best tools for the job too, you can find the best cordless drill on the market on this website too. Feel free to share the below on your blog or website.